For over two years now I've been obsessed with checking-in at the different restaurants, hotels and airports that I frequent via FourSquare, but for the last couple of months I have a new app obsession, Get Glue. It's the social network for entertainment allows people to virtually "check-in" and share what they are watching, listening to and reading with friends; get fresh recommendations, exclusive stickers, discounts and other rewards from their favorite shows and movies. Why would you want to check-in to a TV show or a movie? 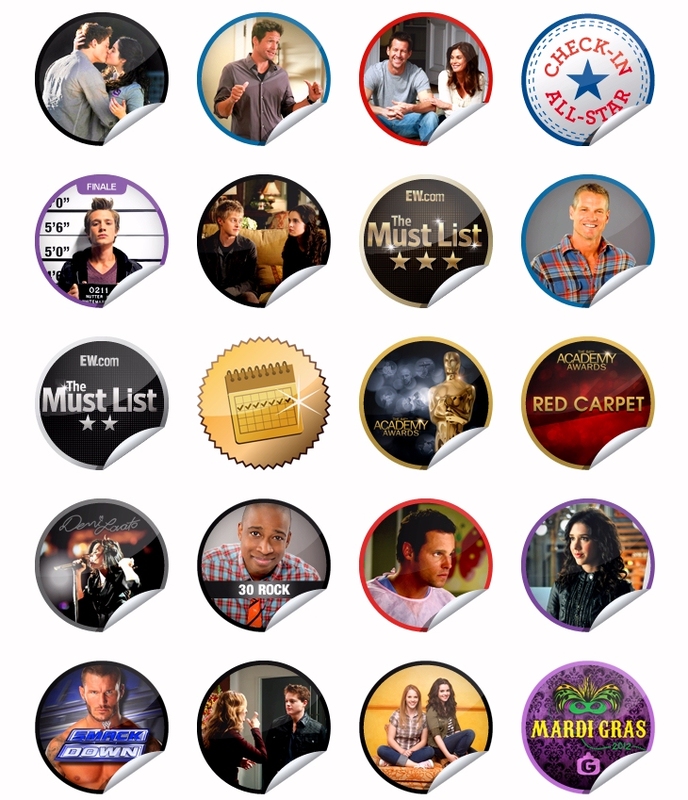 Well, you can unlock stickers for participating shows, films and artists. For example, each week I get a new Grey's Anatomy sticker for checking in during the night that it airs. It's fun to see what the new sticker is each week, but they are only available for a limited time or rewarded after a certain number of check-ins. These aren't just virtual stickers though. The best part is once you've accumulated at least 20 stickers, the company will physically mail them to you as a reward. Then, you can stick them on your laptop like I did (adding some WWE flair to my work computer), use them to seal letters, scrapbooking, whatever. 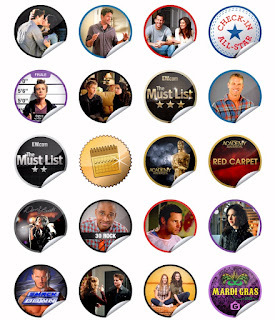 Unlike FourSquare, even if you don't have a smartphone or tablet, you can check-in to your shows online at GetGlue.com. Just create a free account and voila. I actually turned a guy at work into doing it. At first, he was like that stuff is private, but now he's checking in all the time. The site also keeps track of the Top 5 most trending shows at that moment, which I find interesting to see what other people are watching and what shows I should maybe try out. Also, I like reading the comments that people post when they check in and the discussions that result. I've vented with other fans in the comments about certain plot lines and characters. So, would you check-in to TV shows that you're watching? PS: I also just started using the app Viggle as well, which allows you to check into TV shows only, but it also adds in fun elements like quizzes and polls to earn extra points. What do you do with all those points? You can actually get financial rewards like $5 off at food chains and clothing stores. I think I'd be embarrassed by all of the shows I watch, haha. You're an enabler! Now I want stickers!